After one splendid afternoon in which I discovered the marvellous wonders of e-Spot and turned snooker into a game of "whack the ball with the stick," it was time to join the swarm of Richmondites seeking dinner on a Friday evening. Joining me on this adventure were Adam and Puzzlefighter. 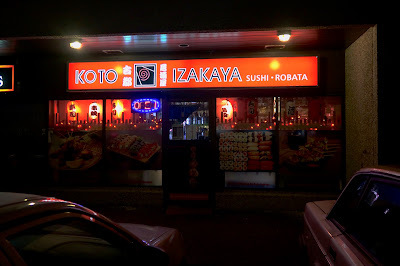 Puzzlefighter suggested that we hit up Koto Izakaya, but upon arriving there, we discovered that he had really meant to take us to nearby Manzo. 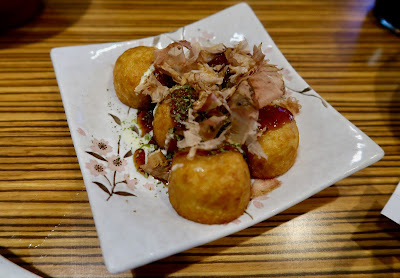 Unfortunately, there was a huge lineup at Manzo, and we had no choice but to head back to Koto Izakaya. 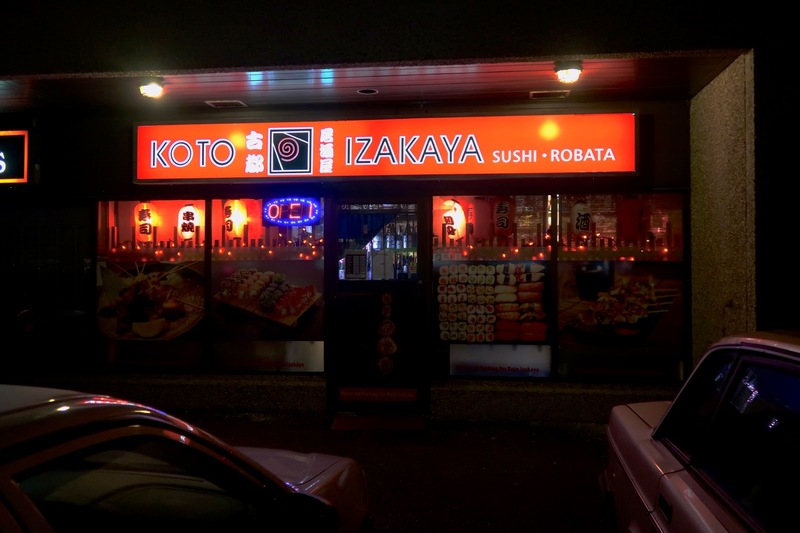 Koto Izakaya is a moderately small Chinese-operated restaurant serving sushi, sashimi, and a variety of izakaya-style dishes. Inside, there is a clear attempt to maximize the use of every inch of space. 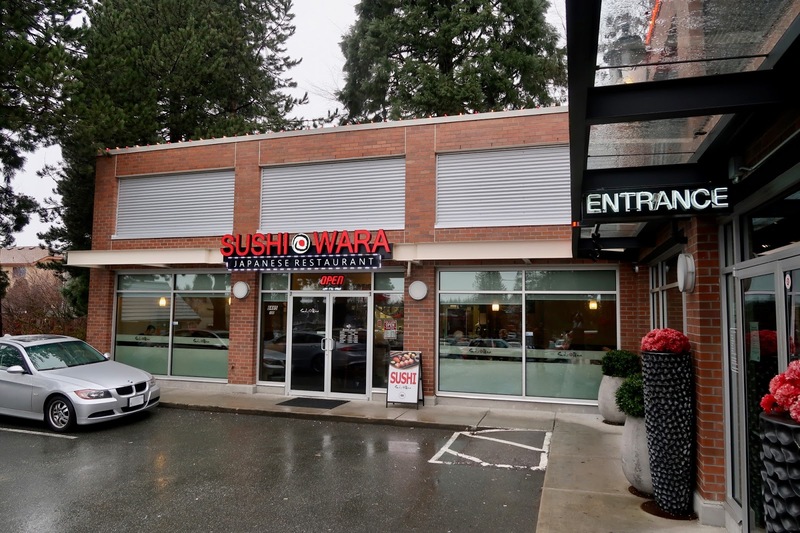 It was essentially the restaurant equivalent of the Crystal Mall parking lot. The three of us were seated at a table really meant for two. When I suggested that I should be the only one sitting on my end of the table because of my blogging equipment, Puzzlefighter was quick to suggest that I should therefore pay half of the total bill. To his dismay, I politely declined. It turns out that space wasn't the only thing that Koto was running out of. They ran out of so many of the menu items that Puzzlefighter had a hard time ordering. We made do with what was available. Our first dish, the Assorted Sashimi, was a success. 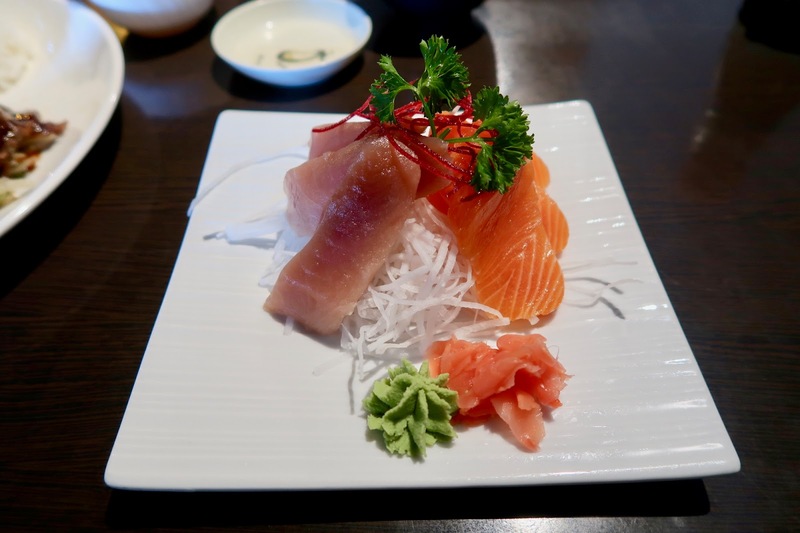 The Salmon Sashimi was very fresh and buttery and had an excellent soft texture. Each piece was sliced to just the right thickness. 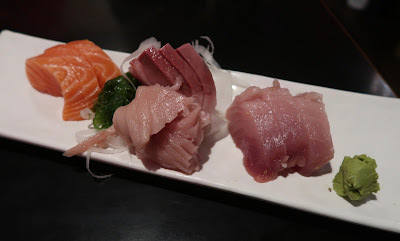 The Hamachi Sashimi was also pleasantly soft, but was the recipient of some unclean cutting. Both the Toro Sashimi and Tuna Sashimi had wonderfully melty textures, although the Tuna Sashimi showed slight hints of fishiness. 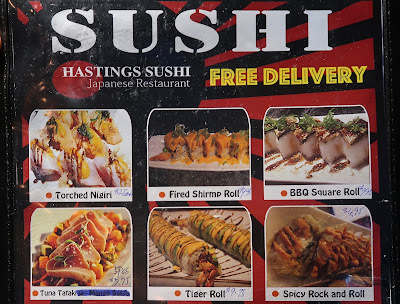 Puzzlefighter was against the idea of ordering special rolls, but I insisted on ordering one anyways despite the somewhat lofty price tags on the special rolls. 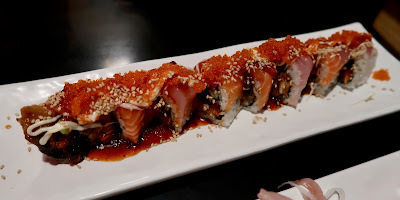 The Imperial Roll consisted of unagi, cucumber, tobiko, tuna, salmon, and spicy unagi sauce. 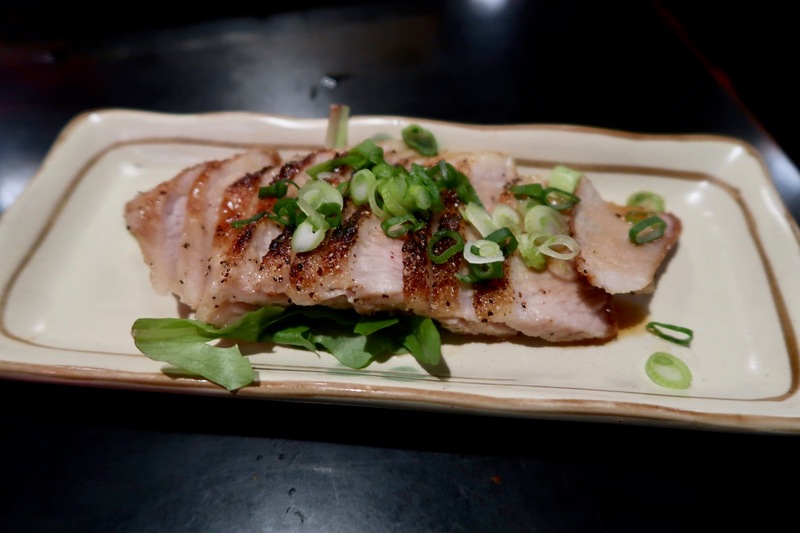 The flavour of the unagi was prominent, though some parts of the unagi ended up being grilled to a crisp. 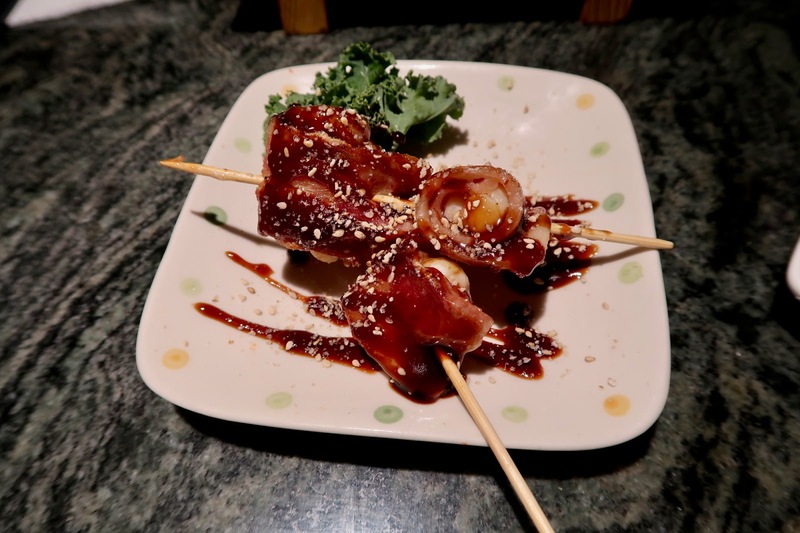 Although the ingredients themselves were fresh, the spicy unagi sauce mix didn't exactly work for me, as the chili sauce clashed against the sweeter unagi and unagi sauce. 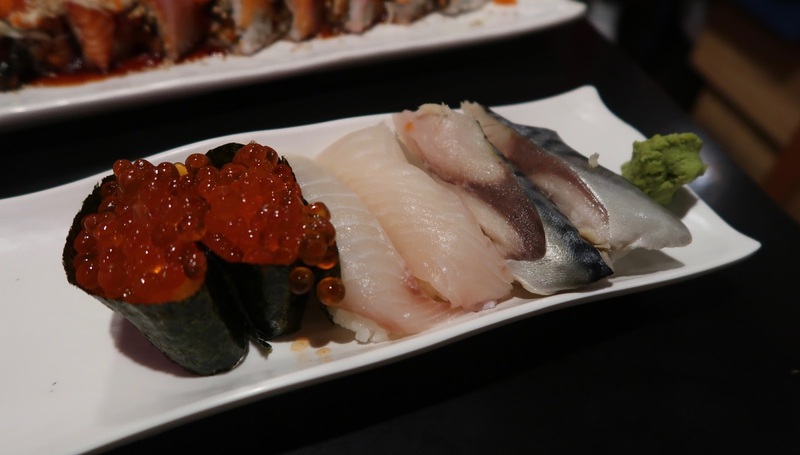 The Ikura Nigiri came with a generous helping of juicy ikura, but the sushi rice underneath had a bizarre texture. It was not only dry, but also very sticky. 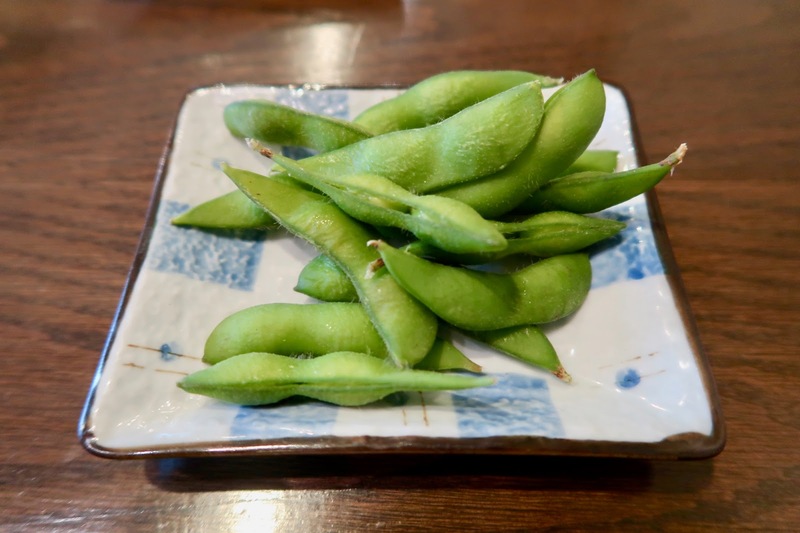 The tai was sliced thick, but it was not too chewy. 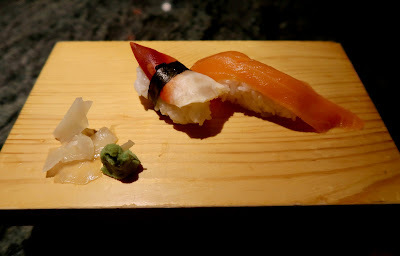 However, little could have prepared me for the disastrous Saba Nigiri. Not only was it tougher than a well-done steak that had been flattened by a rolling pin, but it was also salty enough to leave me feeling salty. Apparently, the other piece of Saba Nigiri was more reasonable texture-wise. Our next item, the Fresh Oysters, fared much better. 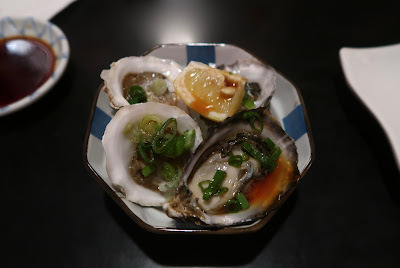 The small kusshi oysters had a pleasantly soft, jelly-like texture and were dressed with tangy ponzu. An even lighter application of ponzu would have helped bring out the delicate flavour of the oysters more. After finishing our first round, we went for a second round, hoping that their cooked food would be consistently on point, as is often the case with Chinese-operated restaurants. Our order of Tonkatsu came with a Miso Soup, which contained tofu and green onion. 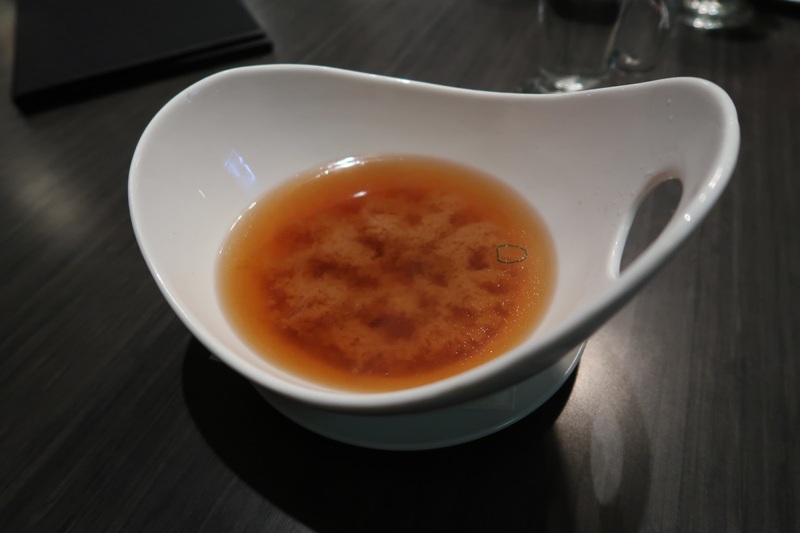 It was served at a comfortably hot temperature, and there was nothing particularly amiss about it. The Tonkatsu itself looked very promising when it arrived and was accompanied by a small bowl of salad as well as some steamed rice. 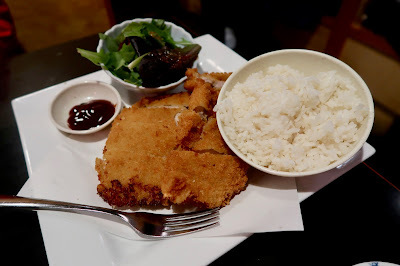 Unfortunately, when we bit into the breaded pork cutlet, we were dismayed to find that the batter was very thick and hard. Once we got past that, we also found that the pork was sliced very thin and yielded little flavour. I began praying on the inside, hoping that our robata would be prepared better. The robata was indeed better. The Pork Toro Robata was tender and had a prominent smoky flavour. It tasted fresh out of the grill. The sweetness of the sauce went well with the pork toro, and all this was nicely balanced by the zing from a generous helping of sliced green onions on top. Our final item, the Lamb Chop, came with a good amount of black pepper. It was adequately soft, but a touch too dry on the inside. Despite the restaurant being very busy, the service remained friendly during our visit. The quality of the food ranged from terrific to terrible. 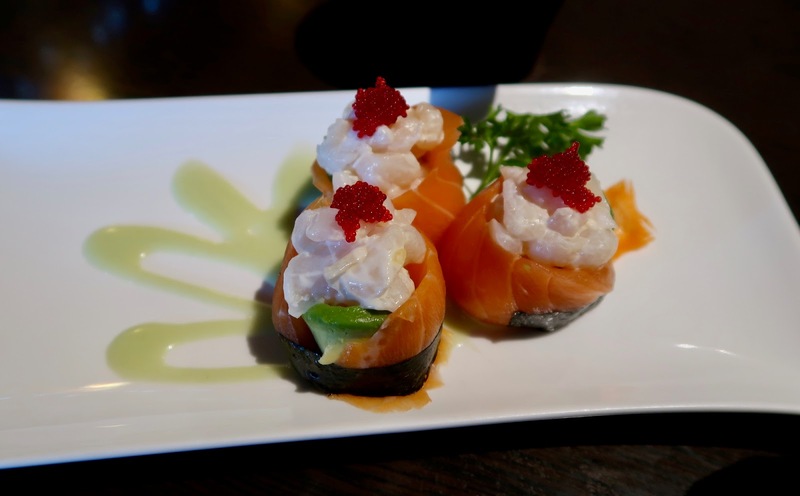 The salmon sashimi was some of the freshest I have had in a long time, but it was a shot in the dark for many of the other items. There did not seem to be a category of dishes that performed clearly better than the others. However, the reasonable prices appeared to be enough to supply the restaurant with a constant stream of diners. 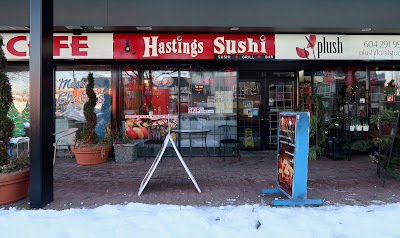 By the time the late night specials menu came out, there were so many diners in the waiting area by the front entrance that it was a challenge to squeeze myself out of the restaurant. Groupons are wonderful things, but unfortunately, they also have expiry dates. A while back, I managed to snag a Groupon for Kibo Restaurant and Lounge during one of Groupon's extra 20% off sales. While $26 for a dinner for two in the heart of Yaletown's wallet-destroying restaurant district sounds too good to be true, it was why I made every effort I could to get Tamsen to join me after our escape games to take advantage of this fabulous deal. 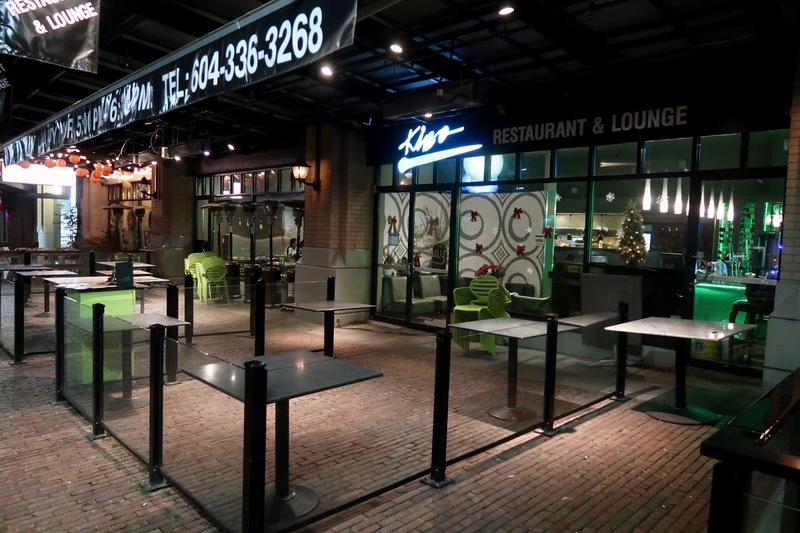 It turns out that escape rooms get quite busy during winter break, and we couldn't make it to Kibo until 8:15 p.m. By then, Yaletown was dead quiet, and the only signs of life were the faint roaring sounds and lit skies coming from the Contact Winter Music Festival. Kibo Restaurant and Lounge is an upscale izakaya with many fusion dishes and an extensive array of cocktails. Tamsen suggested that I try one of their saketinis, but since I wanted to get home alive, I politely declined. 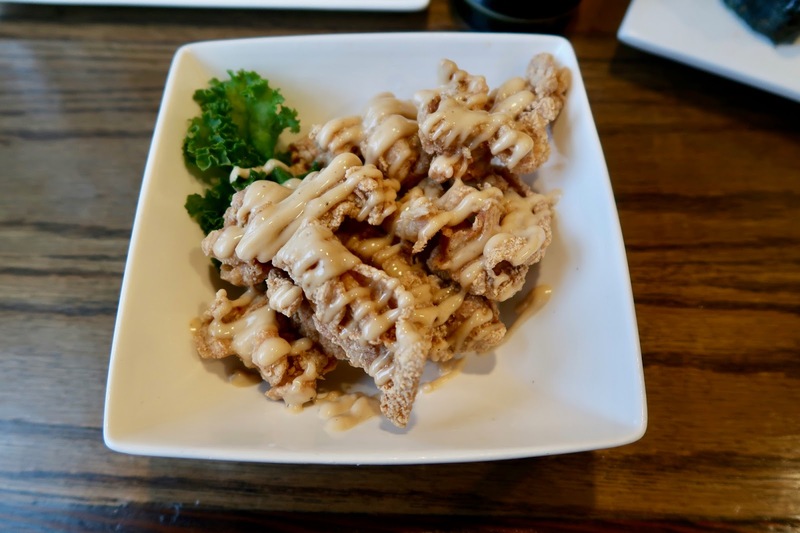 There are some traditional Japanese items on the menu too, and these tend to be on the higher end in terms of price, much in line with other Yaletown restaurants. 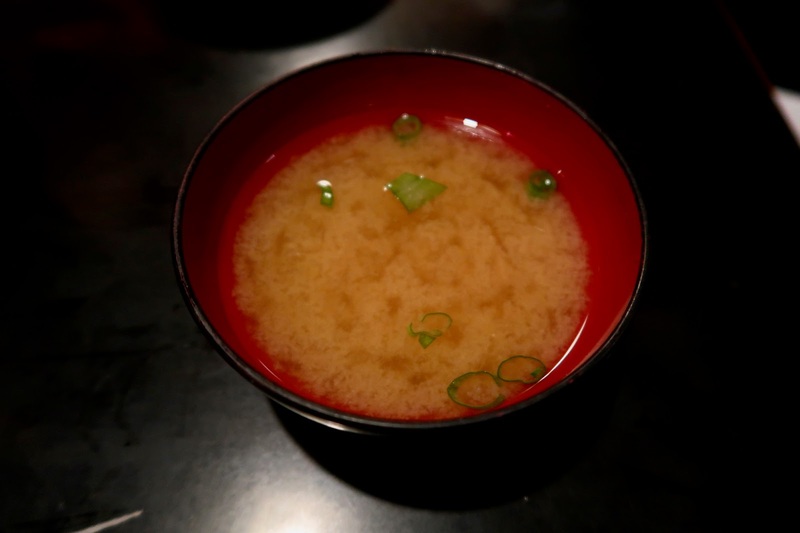 We were started with two bowls of Miso Soup garnished with green onion, tofu, and wakame. They used darker miso paste here for a richer flavour, though it was a bit high in the salt content. 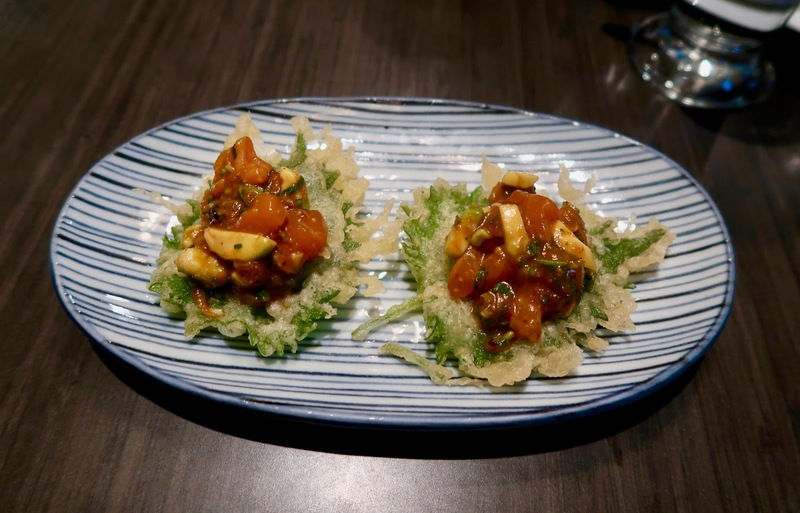 The most innovative dish of the night was the Salmon Tartare, an amalgamation of salmon, onion, cilantro, avocado, and oba tempura. 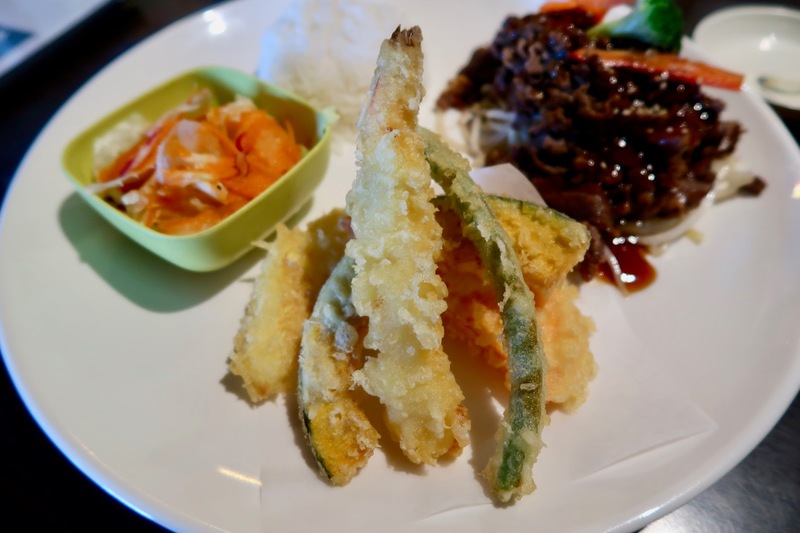 The tempura oba leaf was very well executed with just the right amount of crispiness. 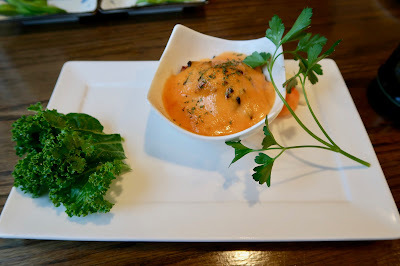 The savoury marinated salmon was also an excellent contrast to the tart zing from the minuscule pieces of cilantro. The well-integrated contrasting flavours and textures made this dish my favourite of the dinner. 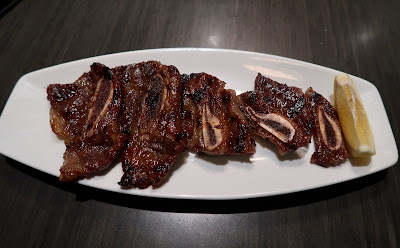 The marinated BBQ short ribs were tender and had a delicious, smoky flavour. There were five pieces in total, and the marinade was neither too salty nor too sweet. The Chicken Karaage was served piping hot and was juicy and tender. 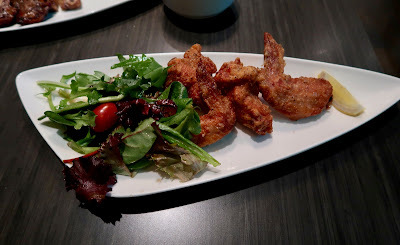 There was a good mix of spices on the batter, and I enjoyed this karaage almost as much as the one from Mogu Japanese Street Eats. 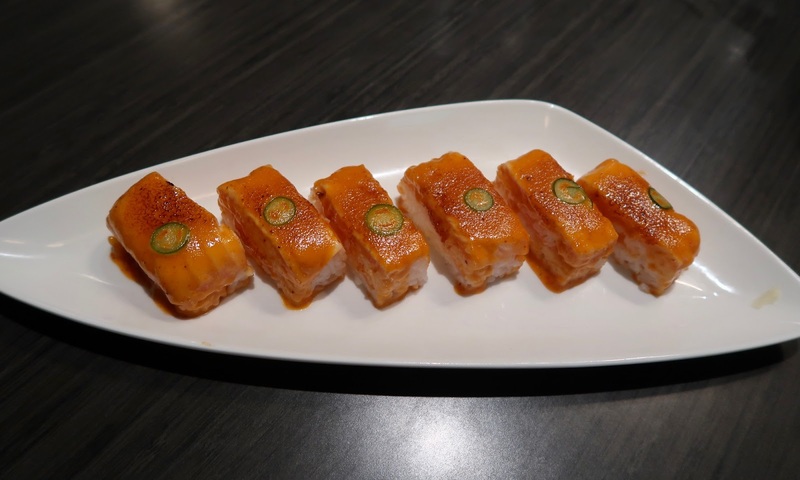 The Aburi Block Sushi came with thin slices of salmon, boatloads of spicy mayonnaise, and jalapeño pepper on top. 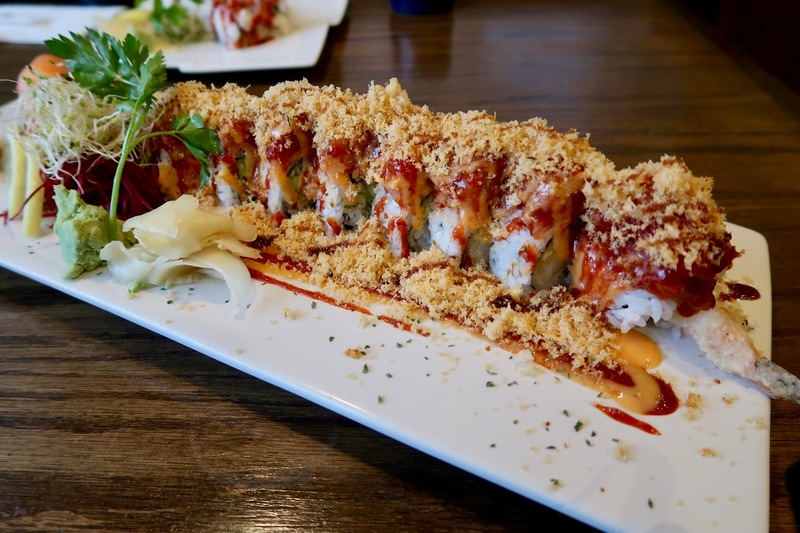 Although the spicy mayo gave the sushi a creamier texture, it was too much for Tamsen and got him desperately asking for water. It also made it hard to taste the salmon underneath. However, the rice was well-prepared and packed correctly. 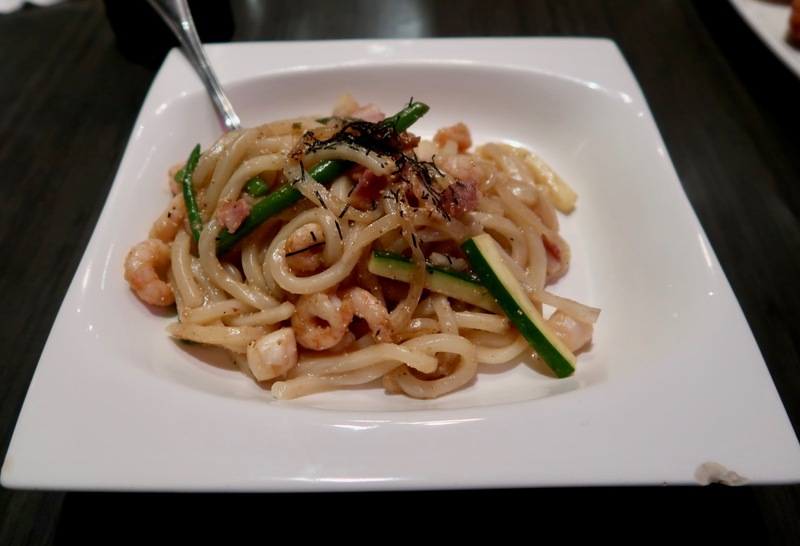 Our final dish, the Tarako Udon, consisted of pan-fried udon noodles with bacon, scallop, prawns, and cod roe. 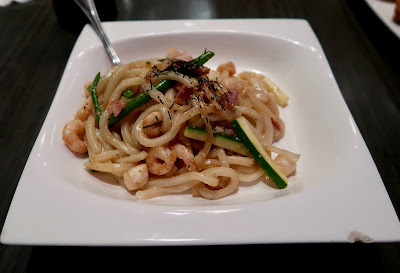 The udon noodles had a nice rebound, and the seafood-flavoured sauce went well with the toppings. I suppose this was supposed to be our filler, but it was only enough to make one of us full. The service was friendly, and the food did not disappoint. By the time we were finishing up, we were the only diners left in the restaurant. However, Kibo isn't always so empty. On another occasion, I went back with a group of 10 for some drinks on a Friday evening, and they were so crowded that there was no way they could accommodate us even if we all split up. I suppose we all have our off days from time to time. 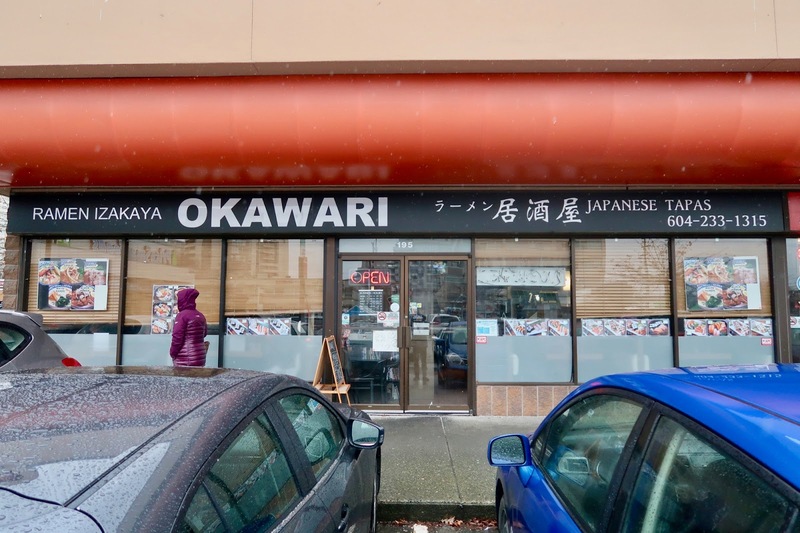 This time, Tamsen and I were on our way to visit Ramen Izakaya Okawari, and we agreed to meet at Richmond Centre. I got to Richmond Centre 15 minutes early due to a few lucky transfers. Tamsen, on the other hand, somehow ended up at the airport all because he was trying to make a post on Instagram. He tried again and then ended up getting off one Skytrain station too early. By the time he walked over to Richmond Centre from Lansdowne Mall, we realized that he also forgot his hoodie at home, so he was basically freezing. I had no choice but to fire the facepalm cannon at full throttle. Due to the name of the restaurant, I previously thought they only served ramen, but I learned from Tamsen that they also served sushi. An assortment of manga posters, manga books, and toy cars lined the dining space. The place was somewhat busy for lunch, but not so much that we had to wait for a table. The menu had by far the most typos out of any menu I have ever seen. It didn't take me that long to find a must-try. 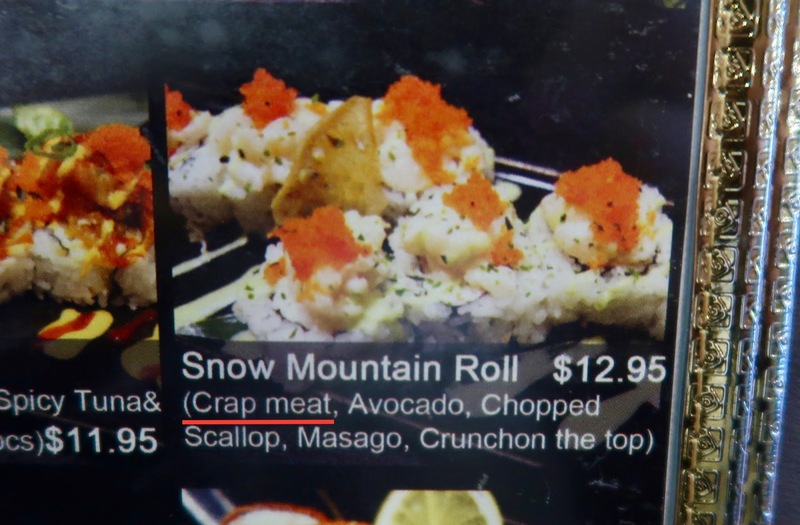 At no other sushi restaurant in Greater Vancouver can you find the exclusive crap meat being served. 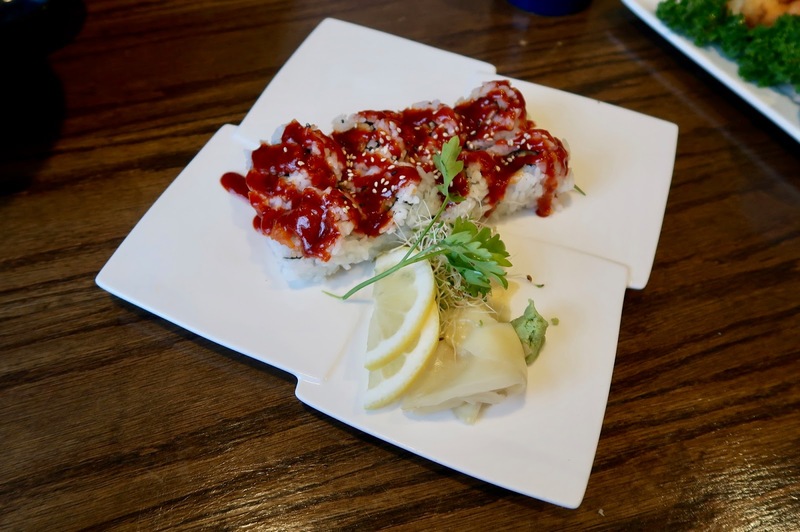 As a bonus, the roll also came with Tamsen's favourite topping: chopped scallop. 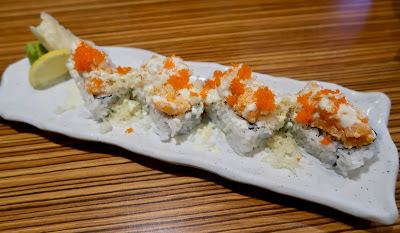 The scallop on top of the roll had a nice sweet flavour enhanced by a moderately light application of mayonnaise. Tempura bits added some crunch to the roll, and the ingredients worked together nicely. However, at $12.95, the roll is very expensive for what it is. 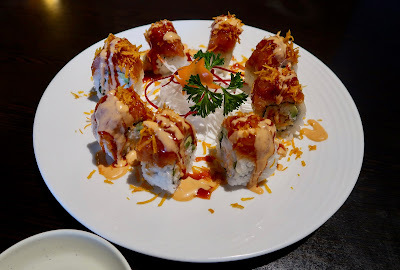 Besides the tempura bits, the roll really does not taste that different from a regular chopped scallop roll, which is much, much cheaper. Next, we had the $9.95 Lunch Set with 6 pieces of oshizushi, which started off with a bowl of Miso Soup. 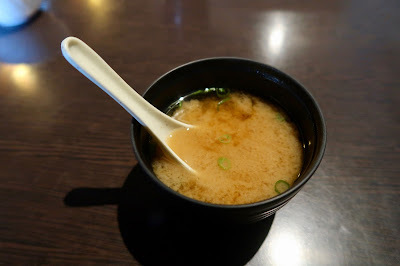 The Miso Soup was standard fare with green onion and wakame (seaweed). It was slightly salty, but there was a good amount of miso paste as well. 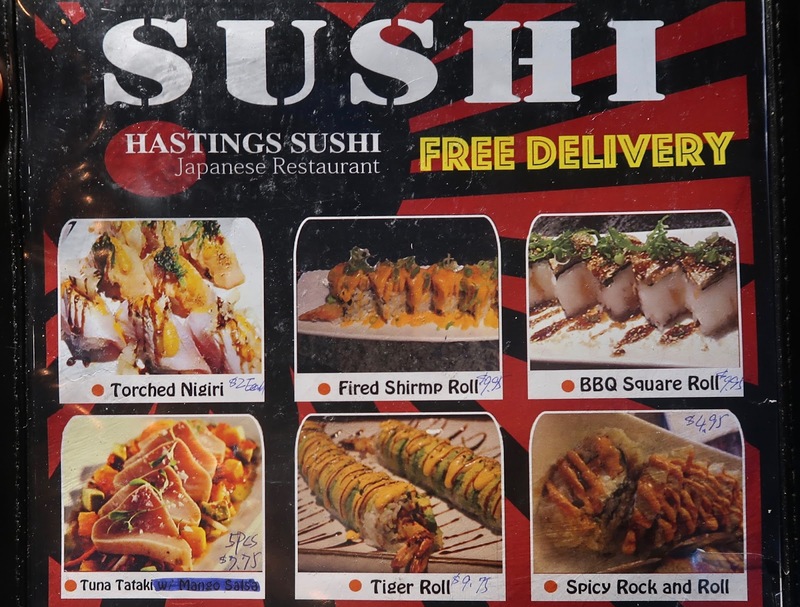 The oshizushi was quite affordable, but also quite disappointing. The Saba Battera came with chewy saba, and there wasn't enough saba to balance the flavour of the rice. 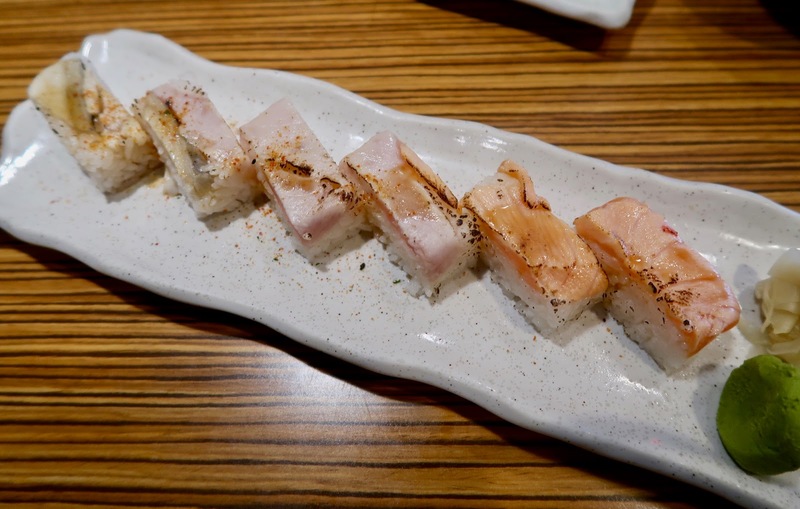 With the Aburi Tuna Oshizushi, all I could taste was rice. The salmon in the Aburi Salmon Oshizushi came in thin slices too, but at least there was a hint of seared flavour with this one. The Salad came with mixed greens and was dressed with a light amount of tangy, fruity ponzu. There was very little dressing, so the salad ended up quite dry. 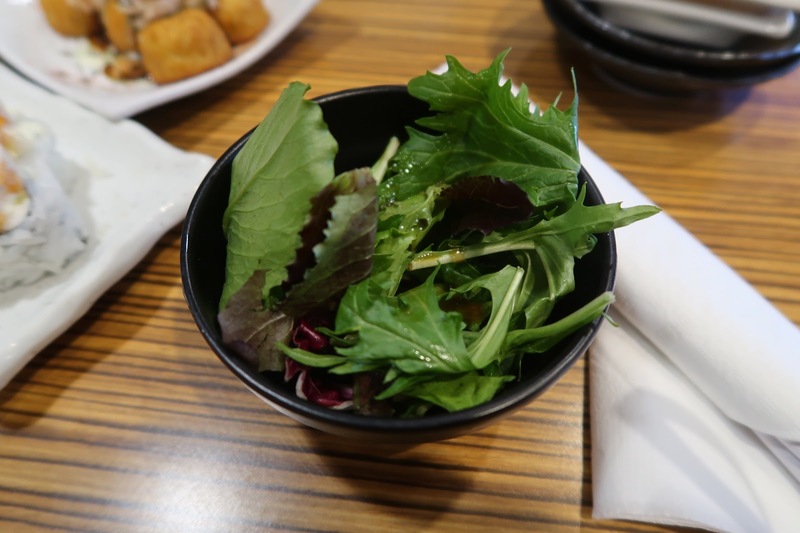 I was almost tempted to dip the Salad in my bowl of ramen to see if that would help. The Takoyaki was the highlight of our meal. 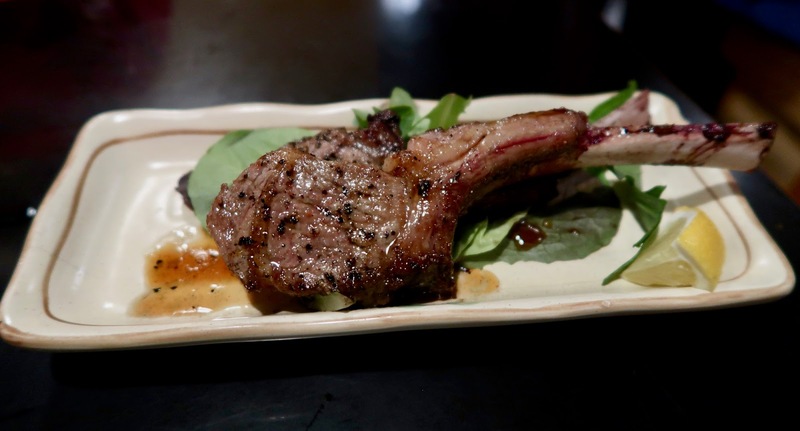 Although a little floury, it had sufficient flavour and leaned towards the sweeter side. There was a juicy, chewy piece of tako in each piece, and the mayonnaise and Worcestershire sauce were well-balanced. 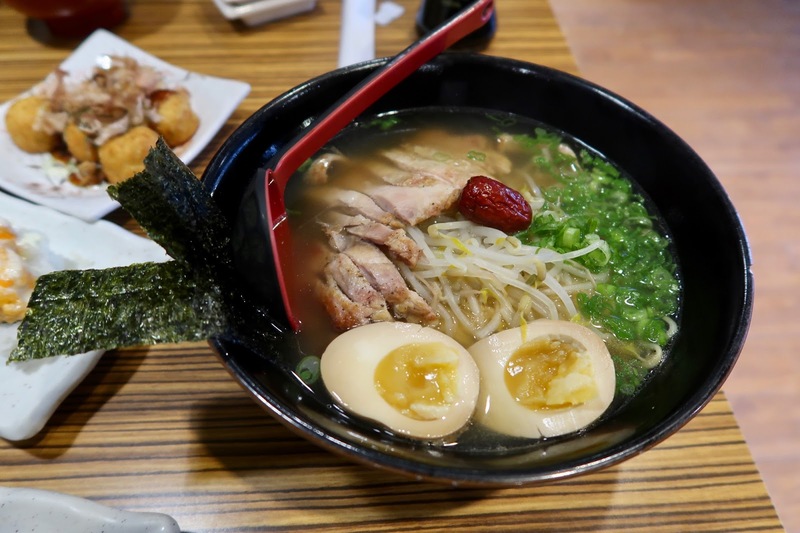 Going for the most Asian-sounding ramen on the menu, we went for the Okawari Ramen, which came with grilled chicken, bean sprouts, and green onion in a whole chicken-based ginseng herbal broth. A plump Chinese date served as the centerpiece for the ramen. The noodles were on the thinner side and did not really have that distinctive egg-like ramen flavour. The grilled chicken was on the tender side, and the broth was light. The ginseng flavour is not overwhelming, but also quite hard to notice. The service was quite friendly and efficient. As with many of Richmond's other sushi restaurants, we found the food very expensive for the quality. We spent close to $50 on an average meal that left neither of us full. Fortunately, we always have a backup plan in cases like this. Yes, it was once again time to stuff ourselves by ordering the largest sizes of bubble tea we could find in the area. Despite the fact that I publish many of my posts at 4 or 5 in the morning, I have never actually pulled an all-nighter before, up until recently. Feeling the need for a break after my final exams, I decided to take two days off (to have sushi, of course) before starting to mark the final reports for the class I TA at SFU. Little did I know that this would result in me having to sleep only an hour and a half on one day and pull an all-nighter the next in order to get everything done before the deadline. 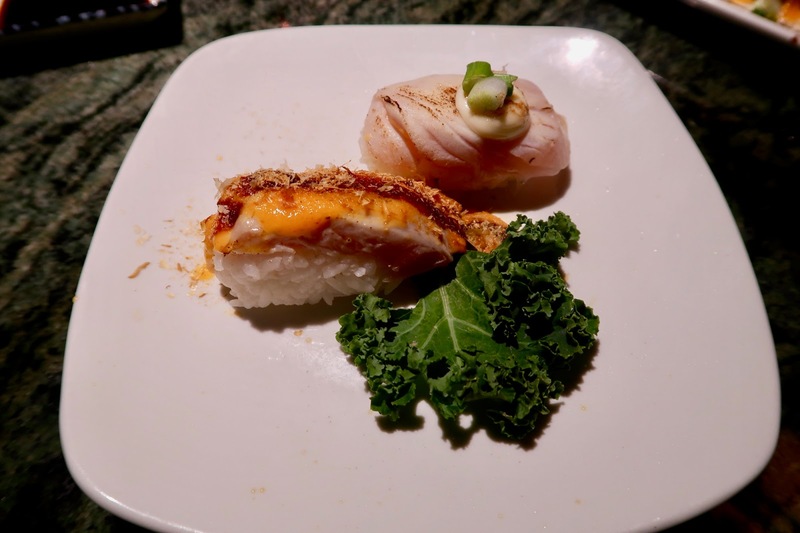 Rather than reward myself with sleep for accomplishing this "impressive" feat, I decided to venture as far as I possibly could for some sushi, because that was totally what I needed. That's right—I went all the way to Aldergrove just for sushi. As luck would have it, it was bitterly cold and very, very windy in Aldergrove. Although Benkey Sushi is just an 8-minute walk from the nearest Translink stop, that walk took me almost an hour because I constantly had to slip into shops and pretend to be a customer in order to keep myself from turning into a human icicle. By the time I got to the restaurant, my eyes were hurting from the cold, my nose transformed into a faucet, and I couldn't feel my hands anymore. Perhaps gloves would have helped. I sat at a table, let myself be a shivering train wreck for a few minutes, and enjoyed the elegant design of the dining area before mulling over what to order. I ordered the Sashimi Set B, which came with a miso soup. 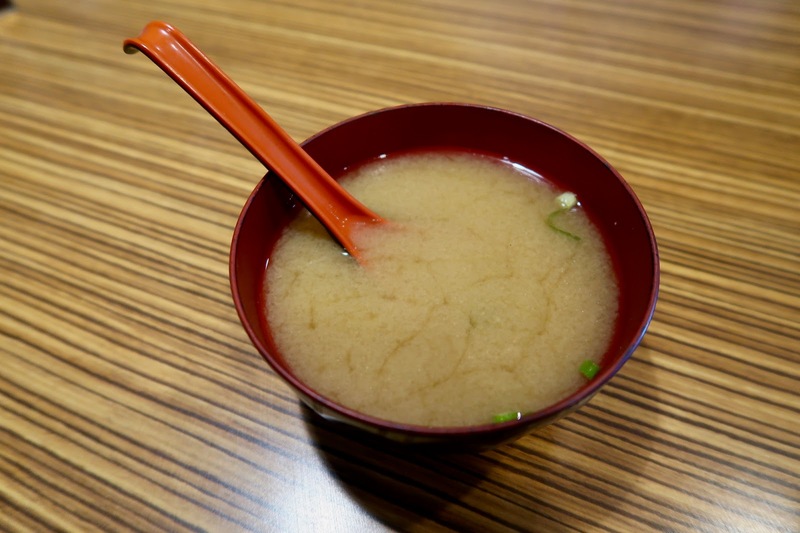 The soup was rich both in flavour and in salt. It was garnished with green onion and tofu and had a good consistency. The portion sizes for the Sashimi Set B were quite a bit bigger than I had imagined. Just this would be a filling meal for your standard sane person. 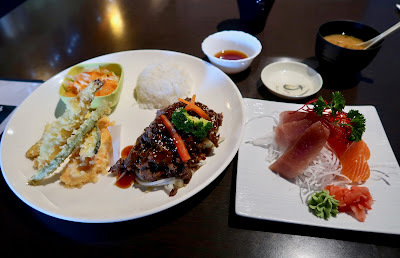 The Tuna Sashimi came in neat cuts and had a soft texture, but there was also a slight fishy aftertaste. The Salmon Sashimi was weak in flavour, albeit with a nice smooth texture and decent-sized cuts. 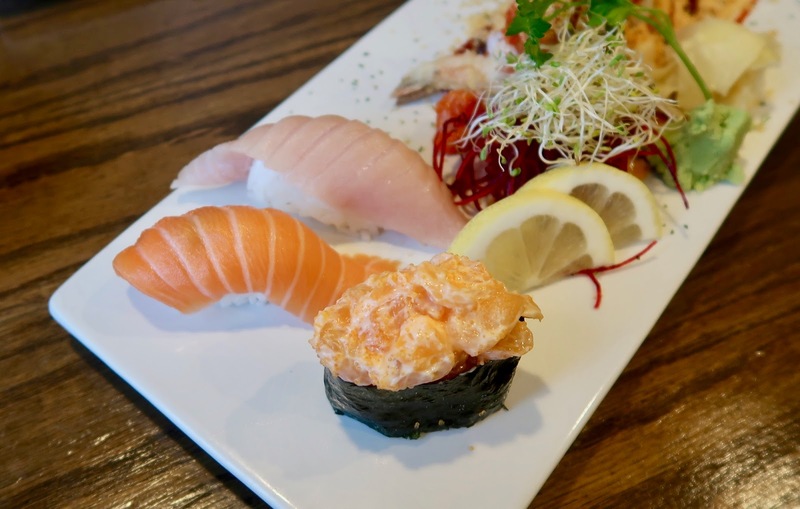 Overall, the sashimi was serviceable (and probably good for the area), but not as fresh as what you would find in restaurants closer to the coastline. 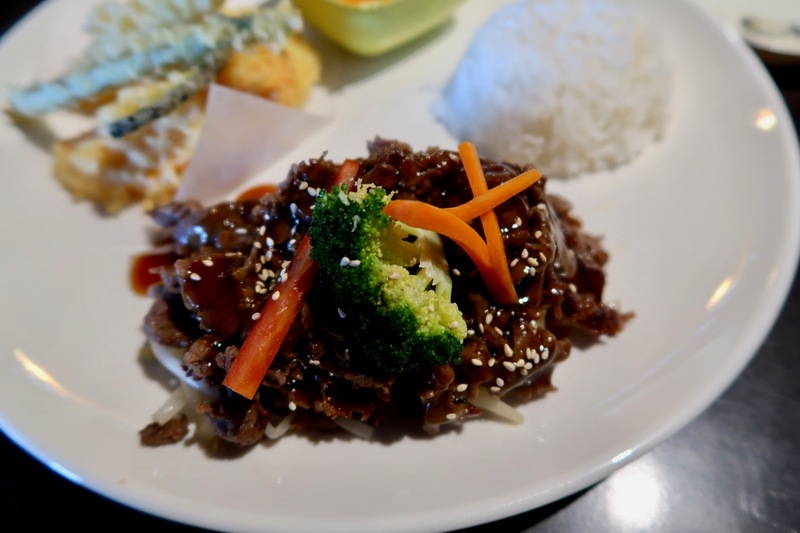 The Beef Teriyaki was adequately dressed with teriyaki sauce, which provided the stir-fry veggies underneath with enough flavour. The beef was quite tender, although not the most tender I've had. 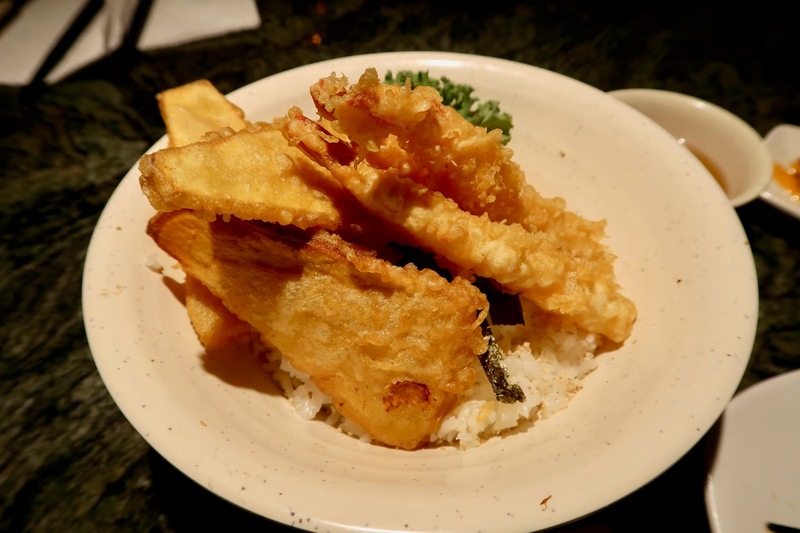 The Tempura came with an assortment of green bean, prawn, kabocha, yam, and sweet potato. The batter was crispy and just the right thickness in virtually all the pieces. 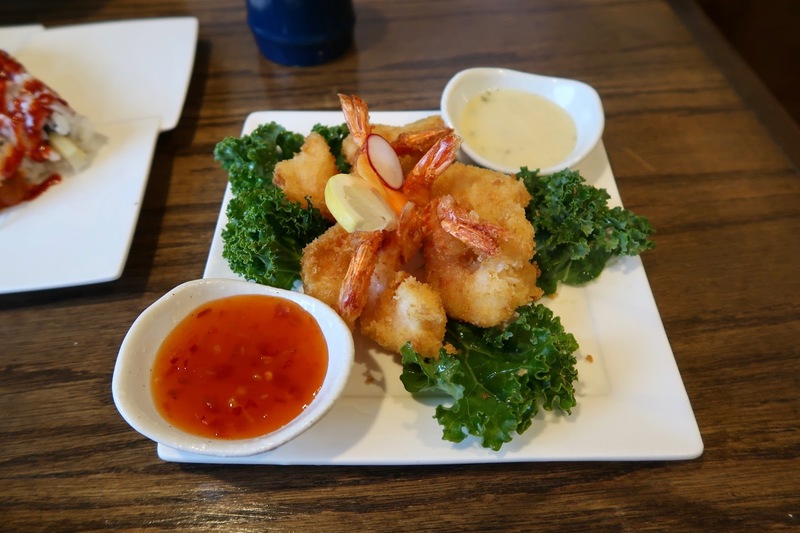 The prawn was juicy, and most of the vegetables had enough moisture too. The Sashimi Set B concluded with the Salad, which was lettuce-based and came with lots of tangy vinaigrette. The tanginess was well-balanced and didn't overwhelm the salad. To relieve myself from the cold, I went for the Hot Night Roll, which consisted of crab meat, cucumber, avocado, shrimp tempura, spicy tuna, crispy powder and spicy sauce. 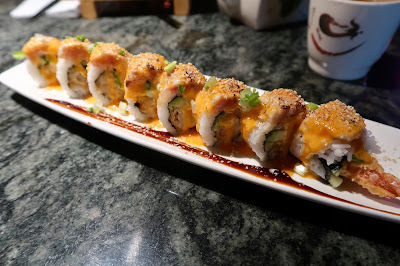 When the roll arrived, I learned that "Hot Night" doesn't mean that the roll comes hot. 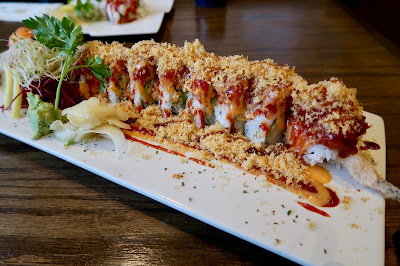 I suppose "hot" refers to spicy here, and the roll was moderately spicy thanks to a mixture of chili sauce and spicy mayonnaise. 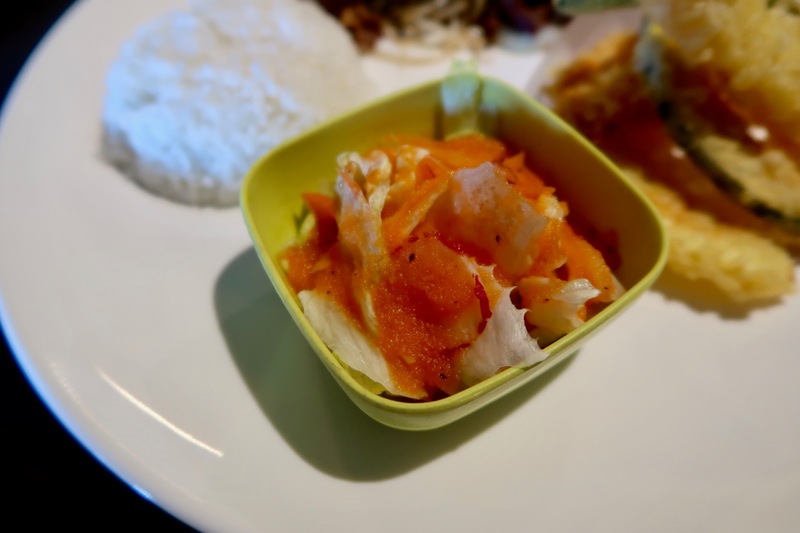 The crispy powder on top was essentially chopped up yam fries. The prawn tempura inside was quite savoury, and everything worked well together. My final dish was the Salmon Flower, which came with salmon, chopped scallop, rice, avocado, and tobiko on top. The salmon and chopped scallop were both pleasantly sweet and buttery. While the toppings were tasty, the sushi rice was completely bland. Did they forget to put the vinegar in or something? The service was friendly and welcoming during my visit. 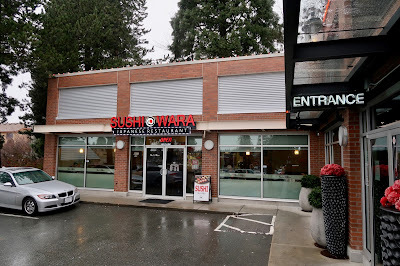 I found the food above average compared to other Japanese restaurants in Langley. 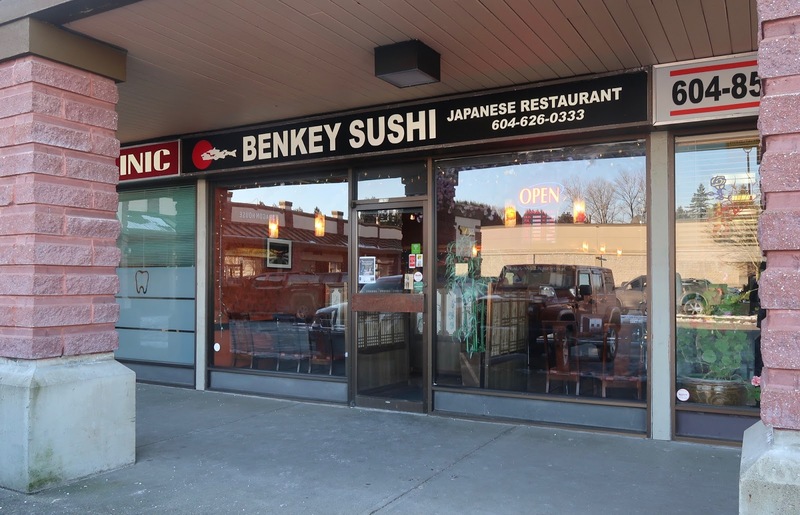 Even compared to Japanese restaurants in Vancouver city proper, Benkey Sushi would not fare poorly. The prices were quite reasonable too. After finishing all the food, I felt just right and was ready to explore the rest of Aldergrove in the face of the fierce winds once again.